Please see our Jeanne Leiby Memorial Chapbook Series page for more information about the award, as well as details about each of the chapbooks published in the series. To submit to the contest, please see our Leiby Chapbook Contest page. 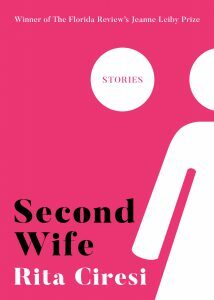 Our sixth annual chapbook—Second Wife by Rita Ciresi—is available for $15 from our publishing partner, Burrow Press. 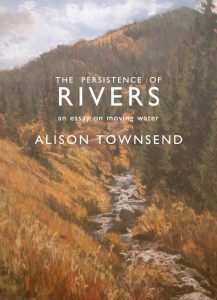 The fifth annual chapbook—The Persistence of Rivers, by Alison Townsend —is available for $15 from our publishing partner, Burrow Press. The fourth annual chapbook—Reno, by Nat Akin—is now available for $14. Purchase via Amazon or our Chapbook Order Form. The third annual chapbook—The Rug Bazaar, by Marylee Mcdonald—is now available for $12. Purchase with our Chapbook Order Form. The second annual chapbook—A Year of Silence, by Polly Buckingham—is now available for $12. Purchase with our Chapbook Order Form. The first annual chapbook—Rubia, by Patricia Grace King—now available for $12. SOLD OUT!